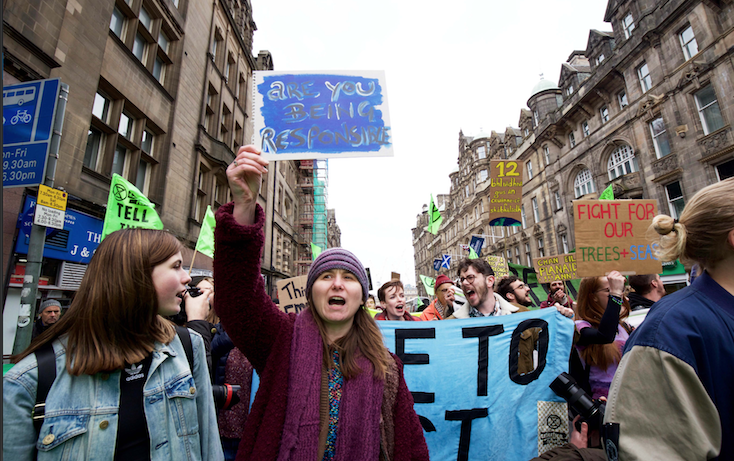 Demonstrators brought disruption to Edinburgh city centre as the worldwide move to tackle climate change reached the streets, the Bank of England and the investment community. 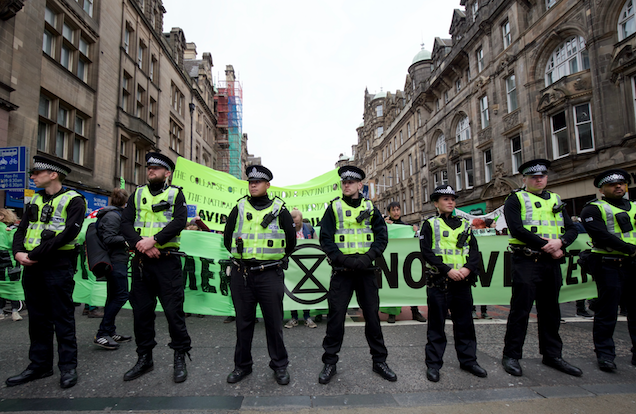 Hundreds occupied North Bridge for several hours in a largely peaceful protest organised by the Extinction Rebellion movement. 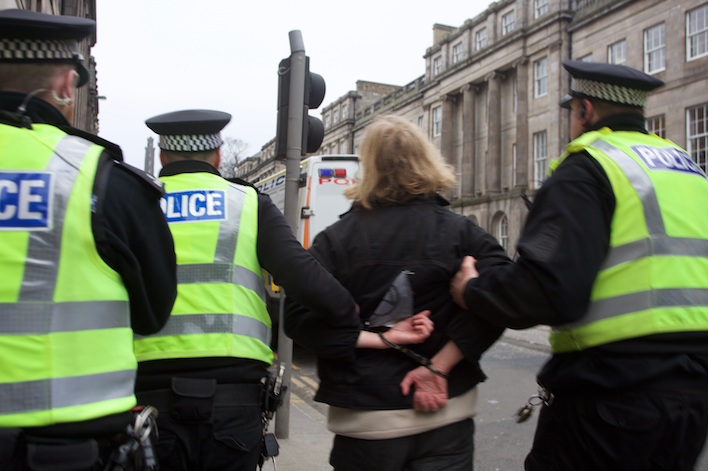 There were 29 arrests, mainly for breach of the peace incidents, and traffic was diverted. 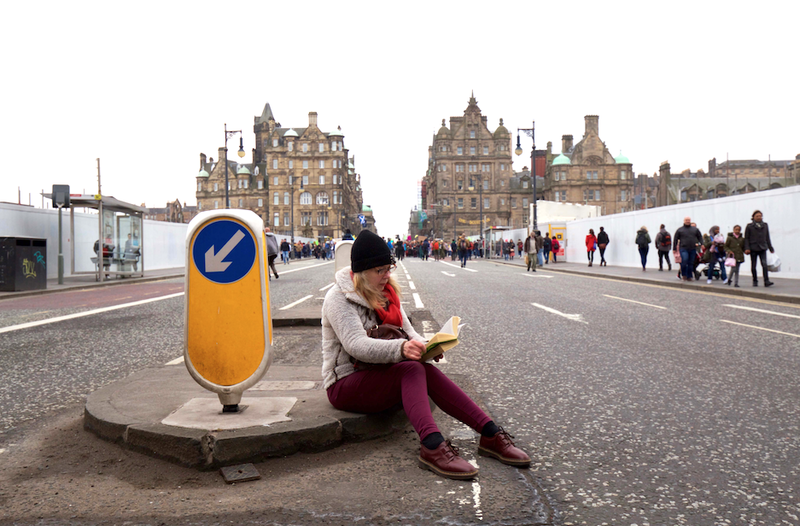 Groups of cyclists also converged at Fountainbridge, John Hope Gateway, Middle Meadow Walk and Duncan Place Leith Links in order to slow down traffic. In London, where 300 have been arrested, half a million commuters were impacted by the disruption which is expected to continue for a third day. 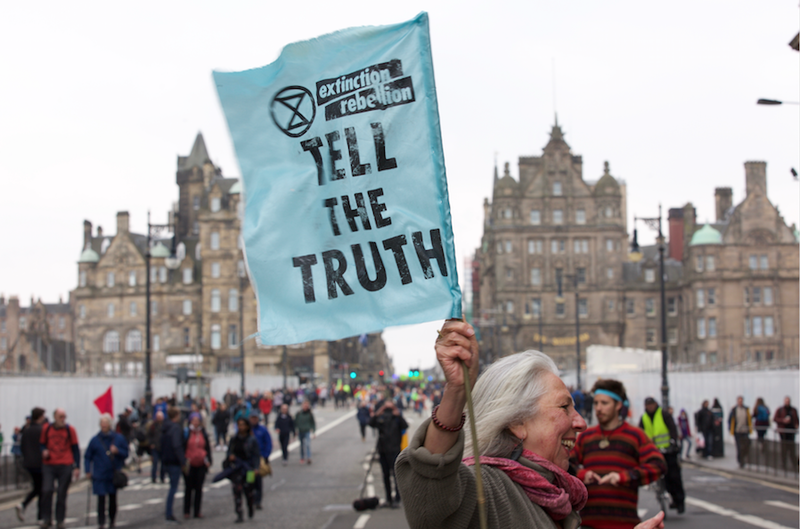 The protests across a number of cities coincided with a warning from central bankers and one of Britain’s fund managers that the world is facing a “climate catastrophe” unless there are faster moves to cut carbon emissions. Bank of England governor Mark Carney and France’s François Villeroy de Galhau set out the dangers to the global economy in an open letter. 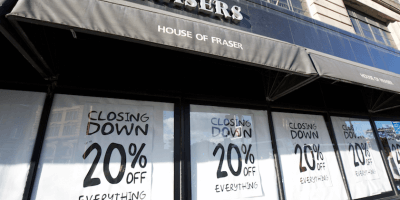 “If some companies and industries fail to adjust to this new world, they will fail to exist,” they wrote. The letter was co-signed by the chair of the climate-focused Network for Greening the Financial System (NGFS). The NGFS is a coalition of 34 central banks which was formed in 2017, with the Bank of England as a founding member. 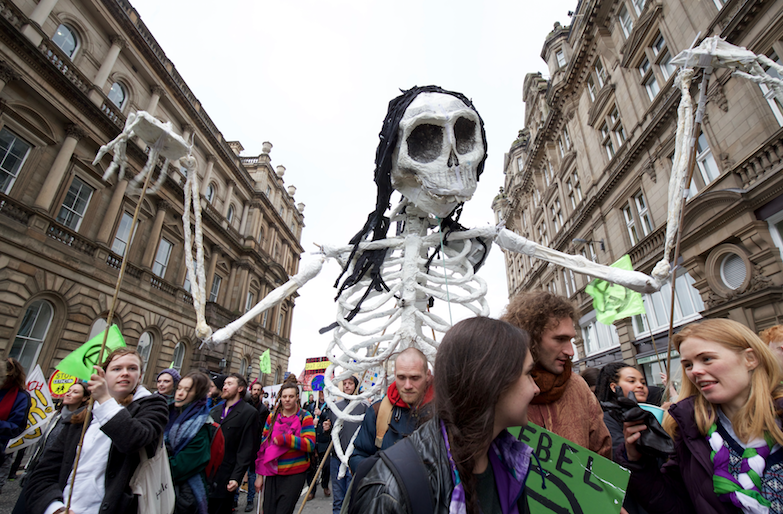 It released its first major report into climate-related financial risks on 17 April. In its latest Active Ownership report, Legal & General Investment Management (LGIM) highlights its voting record across a range of issues and notes that climate change is one of the biggest threats facing the global economy. LGIM has vowed to take a tougher stance on companies not pulling their weight in the climate fight. Last summer it published a blacklist of eight companies from its Future World range of funds, firms it said had failed to engage with LGIM on climate change. The eight in in question were China Construction Bank, Dominion Energy, Japan Post Holdings, Loblaw Companies, Occidental Petroleum, Rosneft Oil, Subaru and Sysco Corp.
LGIM said it will vote against the chairmen of companies where they were seen to take “insufficient actions on climate risks”. It said its stance has prompted each of these eight companies to respond by asking what they need to do in order to be reinstated in the funds. “We believe this highlights the power of our approach to engagement,” the firm said. 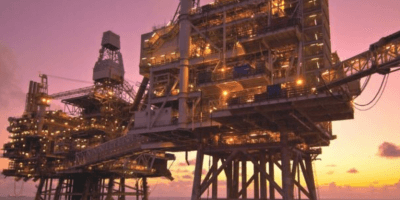 Its report follows research by LGIM last week which forecast that oil demand growth is likely to plateau within the next decade, and warned the oil sector “needs to be ready for a world in which the rules of the game have changed”. LGIM manages £1 trillion of UK pension fund investments and is therefore a powerful influence across the wider market. It is taking a tougher stance on issues such as climate change, gender diversity and executive pay in an effort to drive change. In 2018 it voted against the re-election of 3,864 board directors globally, up 37% from 2017. “The increased figures reflect the higher standards we expect companies to adhere to, having strengthened our own voting policy in 2018,” Sadan said.